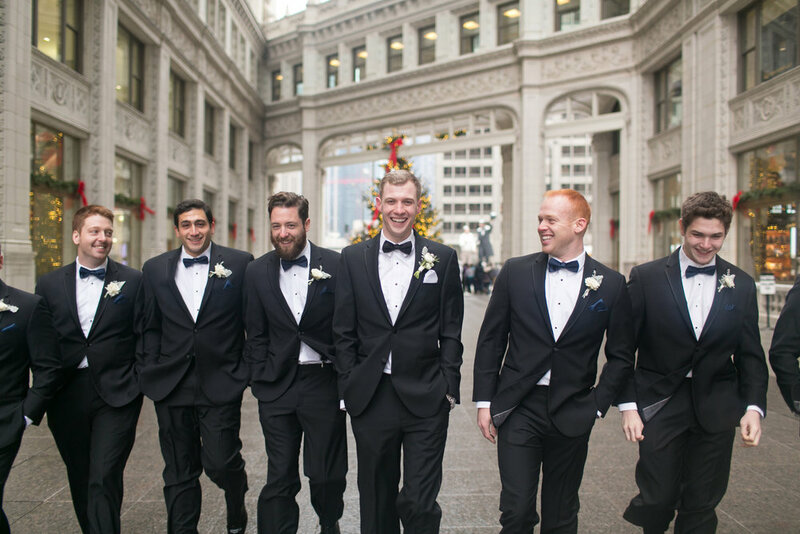 How incredible is it to have twenty of your closest friends and family join you for an intimate ceremony and reception at the beautiful Waldorf Astoria Chicago for a dreamy winter wedding. And to top it off the bride was totally laid back and ready to enjoy her day. She wanted everything to be clean, simple, elegant, and timeless with white blooms and rich greenery. We went with two beautiful white arrangements and a candle lined aisle for the ceremony and a lush cascading garland of greenery accented with a few white blooms for the long reception table. Thank you so much Jennifer and Gabe for including us on your wedding day!